Are you ready for Fall? Really ready? As the calendar turns to another season, are you looking to refocus and recharge your life. This article from MBG should be helpful. 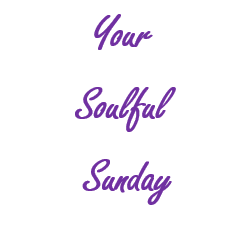 As our series, Your Soulful Sunday continues, enjoy this article by Emma Loewe. On the surface, fall is a time for cozy sweaters, pumpkin spice lattes, and frolicking in the foliage. But there’s more to the season than that! When approached from a spiritual perspective, fall’s crisp air and rich, fiery hues take on a whole new meaning. Coming off summer, which is often filled with travel, social gatherings, and restless activity, fall feels more like an exhale. It’s a transitional season whose coming signals a moment to turn inward in preparation for winter. More than anything, fall is a time of harvest: An opportunity to take stock of everything you’ve “planted” so far this year. How to make an altar that sets the stage for self-care. For those of us who don’t live on a farm, crafting our own symbolic harvest is a great practice to kick off the new season. That’s where altars come in. Personal, at-home altars don’t need to resemble the large, ornate ones you’d find in religious spaces of worship. They can be as contained as a tabletop, the corner of a room, or, if you’re like me and are really strapped for space, a windowsill. And they can display just about anything you want—photos of loved ones, your favorite crystals, a handwritten letter you cherish, or any meaningful trinkets you’ve collected over the years.